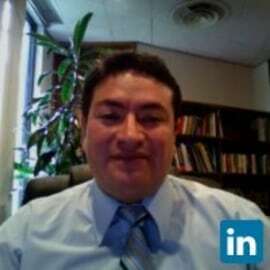 Neil Hernandez-Gress is ViceProvost for Research at Tecnologico de Monterrey. He has a PhD on Artificial Intelligence by the Institut national polytechnique de Toulouse. He has been researcher at CNRS, working on european projects in Artificial Intelligence and its applications to automotive industry. Neil is member of the Mexican Research System and collaborates with the research group on Computational Intelligence at the School of Engineering and Science of Tecnologico de Monterrey. His research interests include Data Mining, Artificial Neural Networks and Data Science.